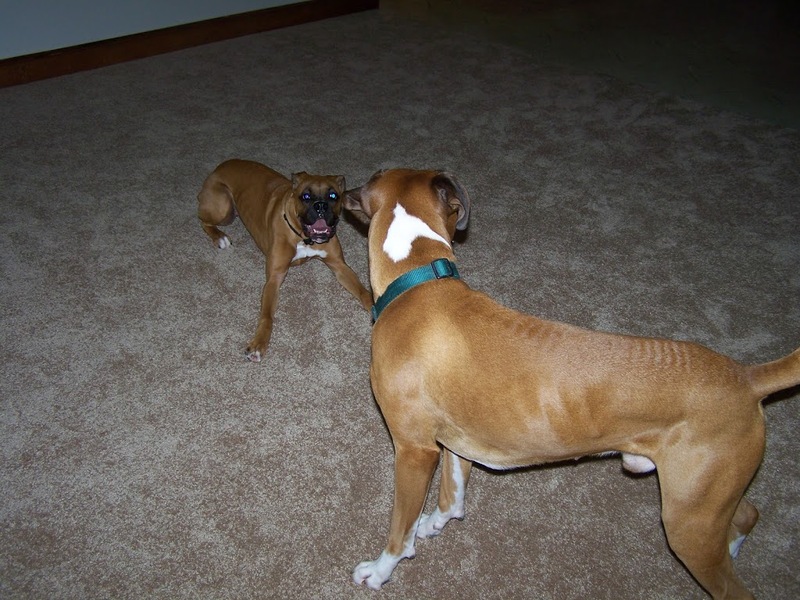 Tonight, Aaron and I loaded up the pups and drove over to have our first official family visit. The boys promptly marked the yard as their territory. 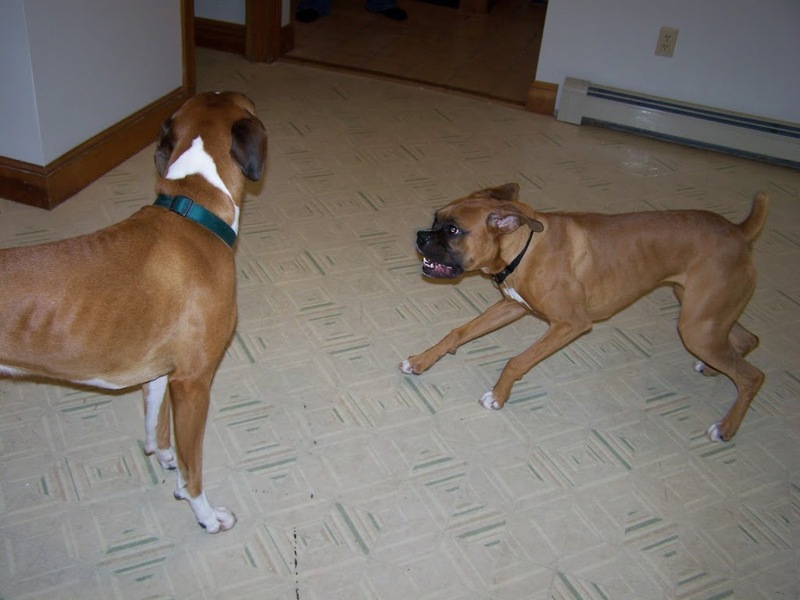 When we let the dogs inside, they raced around sniffing all the interesting smells while we checked out paint colors. 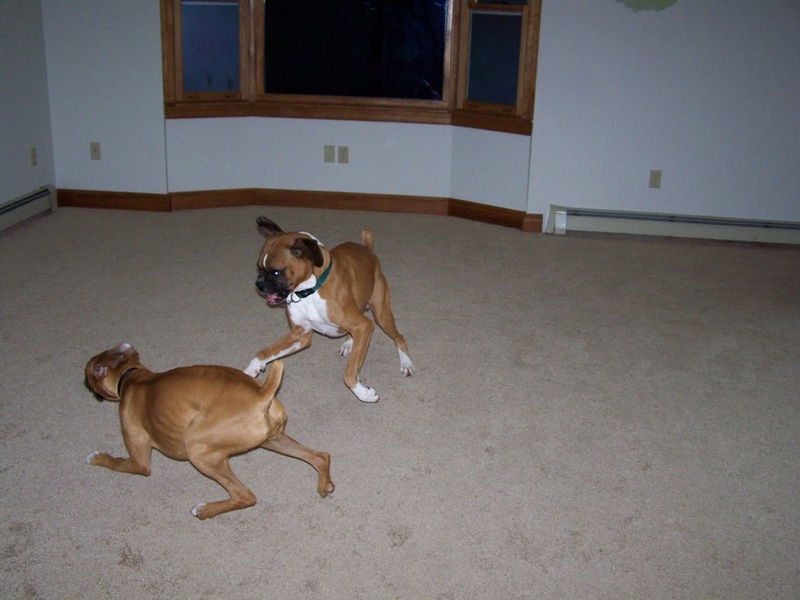 After every room was given a thorough inspection, it was GAME ON! Of course, it won’t really feel like home until we are living there, but now that the pups have been there, it won’t feel quite so foreign to me. 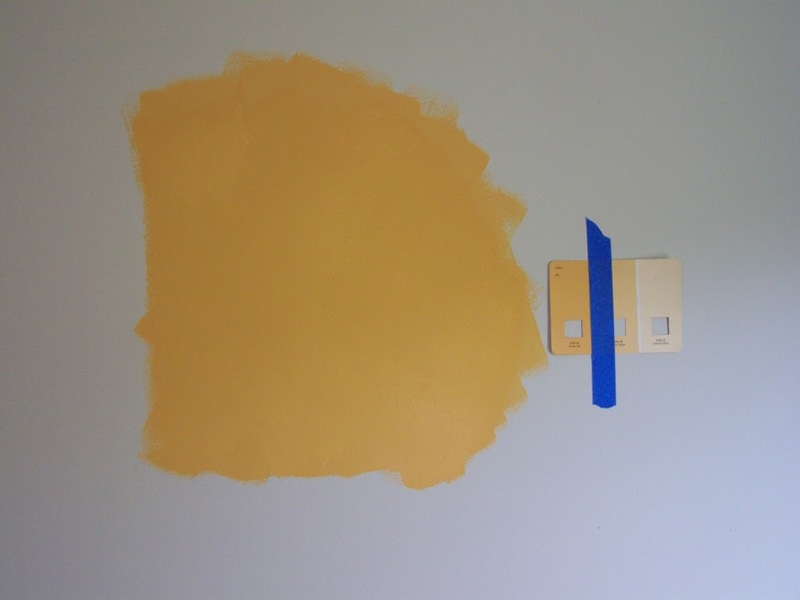 I am going to put up the neutral/tan color we chose tomorrow. If I don’t like that, I will go back to look for either a much lighter or more “burnt” orange. Entryway: Somewhere along the way, I got really into the idea of a nice buttery yellow for the entryway. I think it will be warm and welcoming. It would also mesh well with the orange in the den (if that happens) and the green of the main room. Sadly, instead of buttery yellow, “Maple Taffy” came out looking somewhere between margarine and Velveeta. 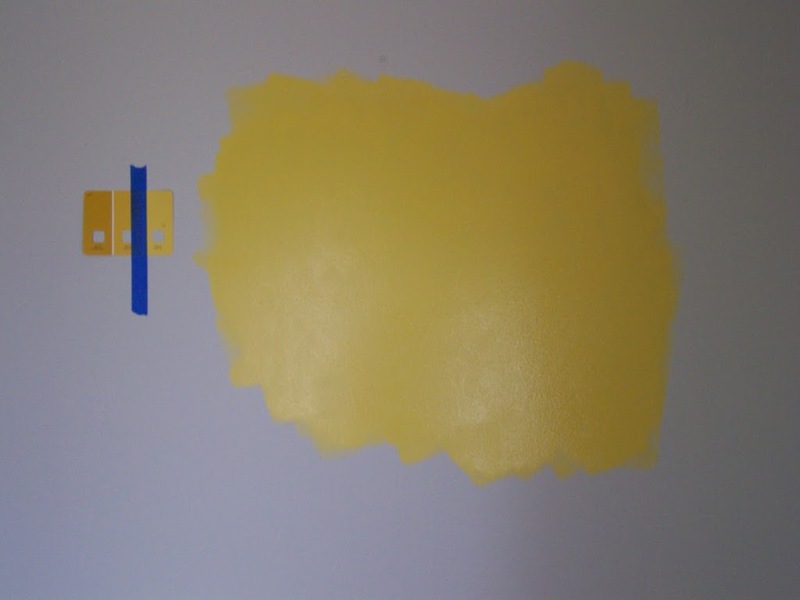 The second yellow we chose, “Soft Duckling”, looks like it will be just as bright. Aaron wanted to go with a more mustard color, but I hate mustard as a food, I’m not up for it as a color either. I am going to test out “Soft Duckling” to be sure it isn’t a fit. If it isn’t, I’ll be buying another sample at least one shade lighter, like “Toasted Wheat”. Main Room (Kitchen, living, dining): Finally, a color I liked right away! 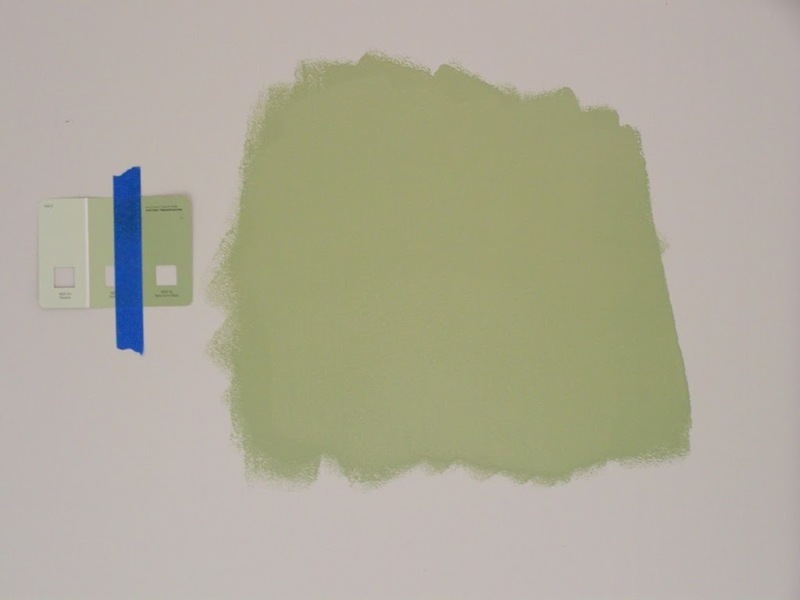 The color, Belle Grove Moss, is a nice natural green… darker than celery or mint, but lighter than sage. I’ll still try out the alternate color, “Brisk Olive”, to see which variation we like better, but one of the two we have will certainly be a winner.